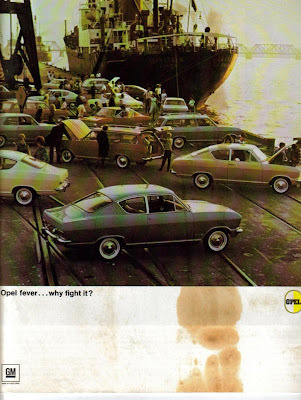 Flint Expatriates: Opel fever...why fight it? We had a couple of these tonka toys. 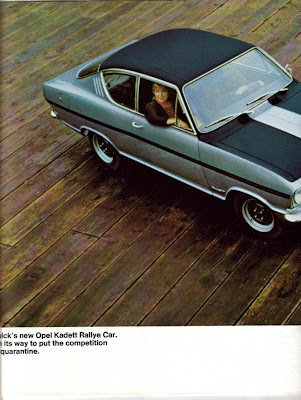 learned to drive in an opel kadett on the I75-I69 there at Miller Rd. 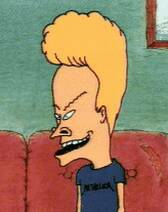 and Ballenger when I was 13yrs. old. The Old Man took me out, put me in the driver's seat, having never before driven a stick shift, and said:"if You can drive it on this road, You'll never have any problems anywhere else driving". Actually made it thru unscathed, although I still have the scars from my nails digging into my palms. The neighbor kid playing catch one afternoon fell into the passenger door and caved it in pretty badly. Dad took a plunger and pulled it back out. Some high grade material used in the construction, eh? It was a fun little car, none the less. Oh My God! 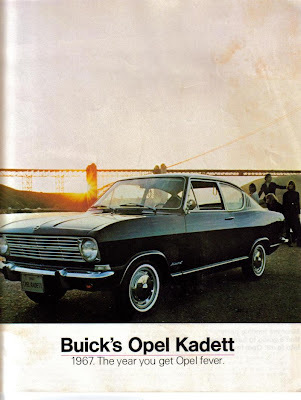 I remember two versions of the Opel Kadettes from my youth. 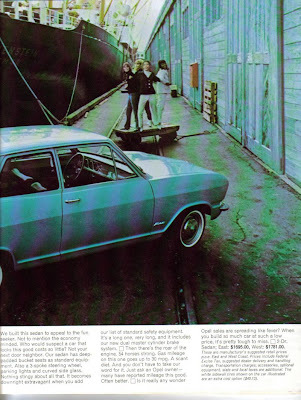 My mom drove a BLUE hatchback during the late seventies and early eighties. And yes, it was a bright, blinding version of blue. A friend had a boxier version, complete with a stick. I ALMOST learned how to drive a stick, an accomplishment I wouldn't complete until early 2001 (out of necessity). Opel's not a GM brand in Europe? The Caddy Catera was an Opel with a Cadillac badge, right? As for small cars, the gas price spikes of the past were temporary. Rich Wagoner says the current gas price hikes are permanent, so GM will have to get it right this time. (remember the Vega? That car was a total disaster.) I suspect that the 1.4 liter turbo engine is key to an efficient car strategy, so it's nice that plans are to build it in Flint, news we heard here first on Flint Expats! My friend Mark Sanford had a Vega in high school. It's nearly impossible to look cool in a Vega. Maybe it was just that Mark couldn't be cool in the Vega. My wife's first car was an Opel station wagon. She thought it was cool...I've never thought any station wagon was cool. Oh, wait, maybe a 1956 Nomad! I distinctly remember our family having an Opel... by the side of the driveway. Next to the car that actually ran. 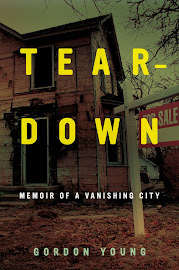 (Tho' it may have been purchased as a project.) We also had a Mazda (the Mazda engine goes Hummmm, remember? 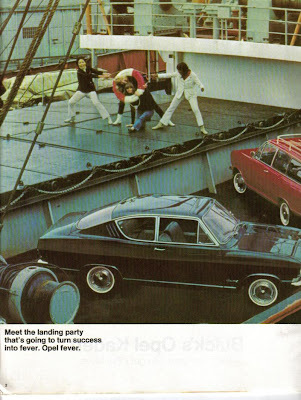 ), and we were hassled to the very ends of the earth about that foreign car. Hey, it was the 70s, and we knew too many stoner shop rats.